For all your daily essentials. 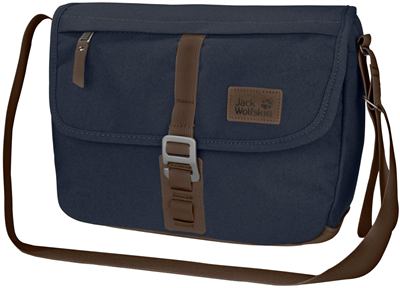 The WARWICK AVE is a retro-style shoulder bag from Jack wolfskin's Vintage product series. There is ample room in the sub-divided main compartment and lid compartment for all your essential items. The Vintage series features revamped versions of popular JACK WOLFSKIN backpacks and bags. The fabrics and detailing are bang up to date however. The products are typically made from robust recycled fabric with base sections in synthetic suede and come in a range of strong natural colours. Well made, looks good, just what I wanted. It would be improved if it had an internal zipped pocket, but overall a great bag.